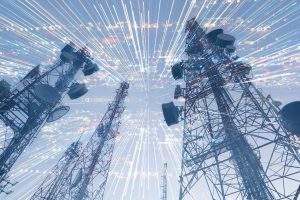 This article begins to make the case that information carrying microwave radiation (ICMR) from wireless systems, 5G included, is one of the most devastating environmental and health threats ever created. While the preponderance of danger warnings concern human health and well being, the greater threat by orders of magnitude is to the environment. A public and scientific wave of resistance may be building against 5G, but much of it is out of critical context and consequently ill-advised. The obvious context, of course, is wireless technology in general, the ultimate context of which includes the very nature of being. Life is affected by artificial electromagnetic fields (EMFs) because electromagnetism is the foundation of life. The origin, history and nature of 1G through 4G reveal egregious Industry and Government (IG) deceit underpinned by scientific fraud. Foreknowledge of the dire consequences, beginning about two decades before market rollout, was concealed. Virtually all governments and regulatory organizations – Federal Communications Commission, World Health Organization, and the reputed independent International Council on Non-Ionizing Radiation Protection, among others – perpetuate a blatant scientific fraud: The arbitrary assumption and single-minded assertion as an operating principle that the only potential danger from ICMR is thermal (tissue heating). In fact, voluminous scientific literature beginning in the 1950’s showing harm from non-thermal power levels was ignored or dismissed, making the tobacco deception a mere pimple on the face of such evil. This is no accident, but a tried and true tactic. “Only the small secrets need to be protected. The big ones are kept secret by public disbelief,” Marshall McLuhan said.